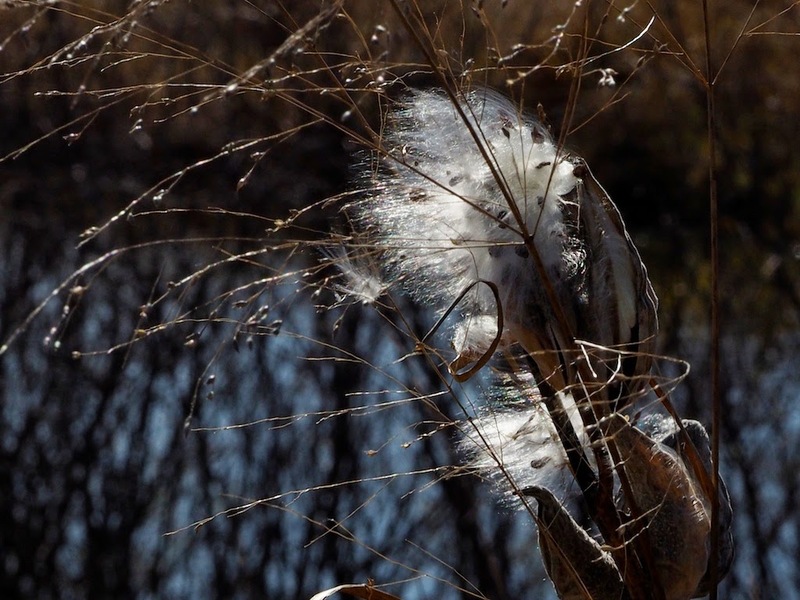 At Shiawassee National Wildlife Refuge near Saginaw yesterday we enjoyed driving around the loop designed for vistas over the marshlands and flooded woods that welcome many birds. We both took quite a few photos. 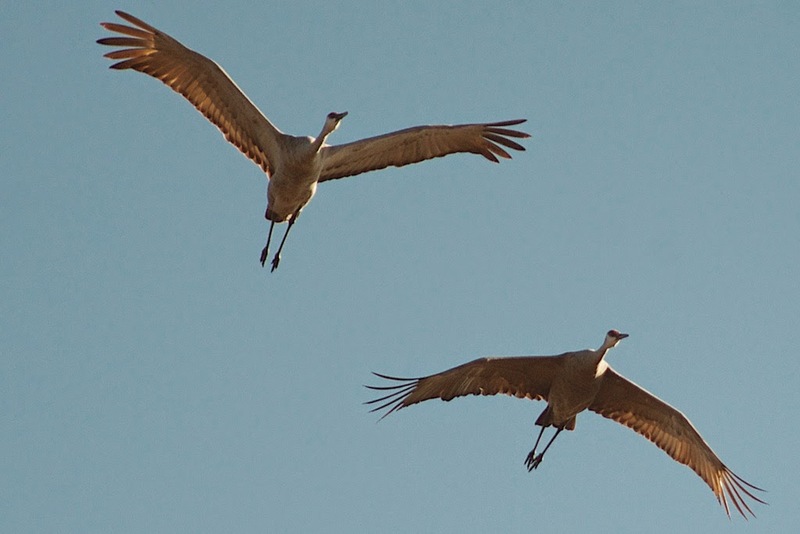 Flying sandhill cranes -- Len's photo. 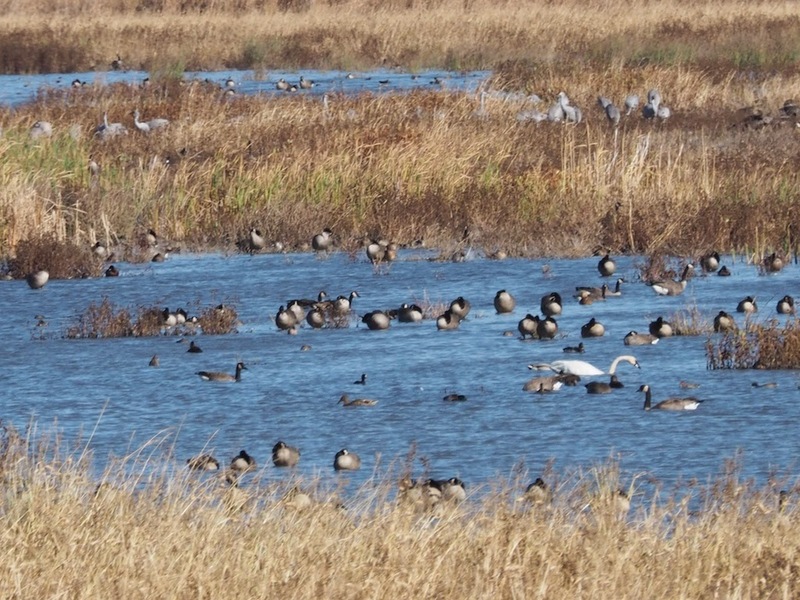 A swan, canada geese, coots, and ducks swimming in one of the ponds, illustrating the incredible abundance of birds. In the middle distance are two groups of sandhill cranes. 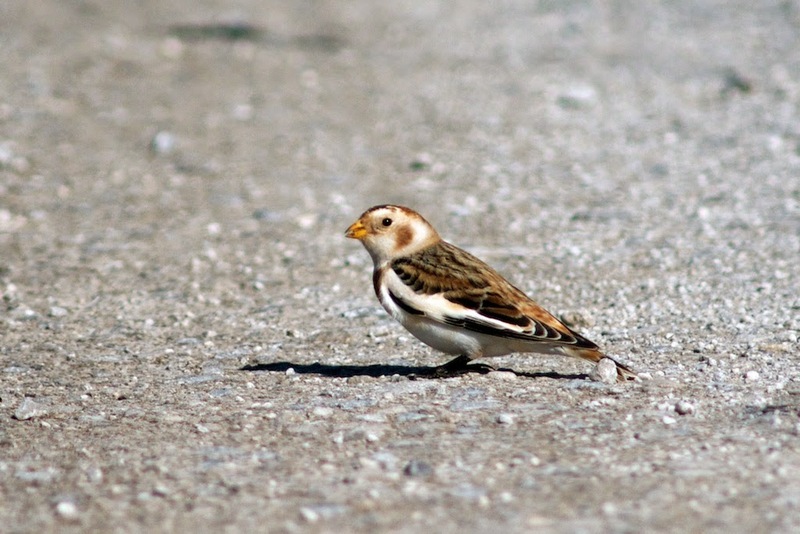 Two little snow buntings were hopping around on the road in front of us for a while. Much of the loop, a one-lane, one-way semi-paved road, is built on a kind of dike above the surface of the ponds, marshy areas, and ditches that run through the refuge. The Saginaw River is on one side, and you can see the pumping equipment that controls the flow of water through the area. Everyone was driving very slowly, stopping whenever they wanted, even when there were no turnouts, because there's no reason to be there if you aren't a birdwatcher -- or, at other times, a hunter. Those flying sandhills are magnificent! A Comic Horror Suspense Social-Critique?